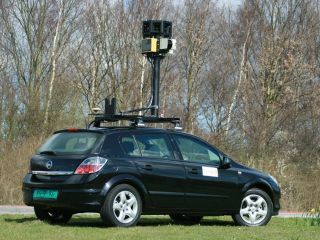 Google has promised to delete all the Wi-Fi data its Street View cars accidentally downloaded from the UK, giving itself nine months to do the job. Even though Google collected data - unwittingly or not – that it had no right to, David Smith, deputy information commissioner from the UK has said that Google will not be fined for the incident. "We'd have had to find that there was substantial damage or distress to individuals from the collection of snippets of emails, URLs and passwords." He told the BBC. "We'd have to meet that criteria for a penalty to be imposed." To be fair to Google, it admitted itself that it downloaded Wi-Fi data while compiling shots for Street View, but it was found that the company had downloaded sensitive information in Canada, after the Canadian authorities investigated what data was collected by the search giant. The UK hasn't and won't do as stringent an investigation, with Smith explaining: "We spent less time searching than others did. If we had searched for days and days we would have found more. "It is not a good use of the data protection authority to duplicate more in-depth enquiries." Google will now have nine months to delete all the data it collected. We never knew that finding Ctrl+A and Ctrl+X took so long.